Less Australians may be shopping at butcher shops but according to Roy Morgan Research those who do spend the most money on meat each week. 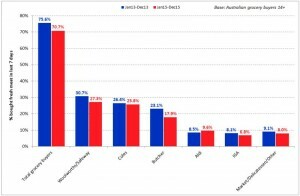 Australians who shop at butchers spend an average AUD$37 weekly at the butchers. Market and deli shoppers spend an average of AUD$34 a week, Woolworths shoppers AUD$27, Coles AUD$25, Aldi AUD$22 and IGA AUD$22. Some of the sales appear to be going to Aldi supermarkets with Roy Morgan Research reporting it as the only major supermarket to increase fresh meat sales in the past two years. According to Roy Morgan, 9.6 per cent of grocery buyers purchase meat from Aldi each week, an increase on the 8.5 per cent of consumers who purchased meat weekly from Aldi in 2013. Roy Morgan Research does however believe butchers are likely receiving less customers as Australians choose to buy less meat. In 2013 75.6 per cent of Australians purchased meat weekly whilst only 70.7 per cent did in 2015. 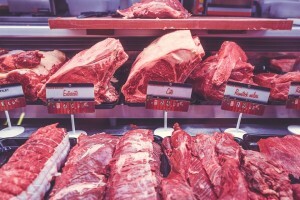 Consumer Products General Manager at Roy Morgan Research, Andrew Price, said butchers are the most visible casualty of Australia’s move away from always eating meat. “At the moment, despite their shrinking customer base, butchers are retaining a decent share of the overall fresh-meat market due to the above-average amount spent by those grocery buyers who continue to shop with them,” Price said. Source: Roy Morgan Single Source (Australia), January-December 2013 (n=18,576) and January-December 2015 (n=15,367). Australia’s takeaway and eating out culture could also be attributing to the drop in purchases with Roy Morgan Research reporting in August 2015 that 81 per cent of all Australians over age 14 are takeaway eaters.